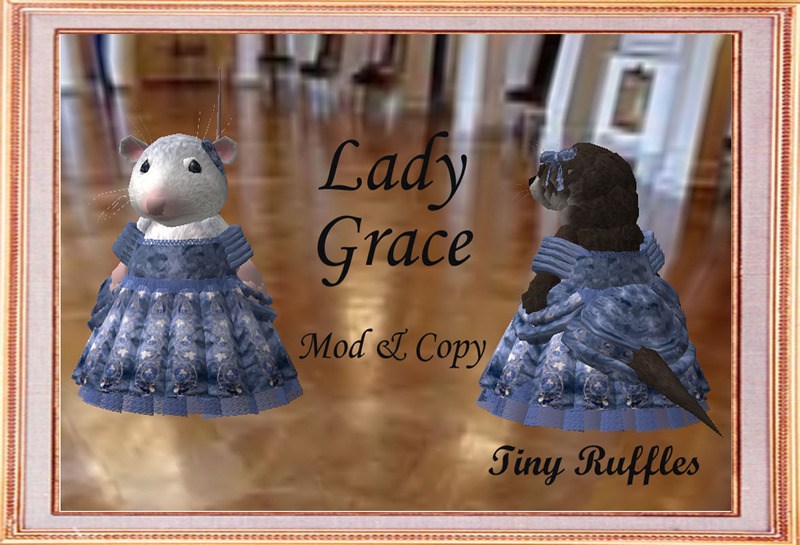 Lady Grace is a delightful tiny gown made of watered silk fabric, accented with embroidery and lace. The puff sleeves and lace neckline flatter the face, while the bustle helps others to notice and appreciate your fine figure. A tiny hair bow sets off the ears or hairdo. It comes in 6 colors (cream, dark pink, fern green, melon, purple and steel blue) as well as a fat pack. Lady Grace gowns are copy and mod, so they can be tweeked to fit any size tiny. 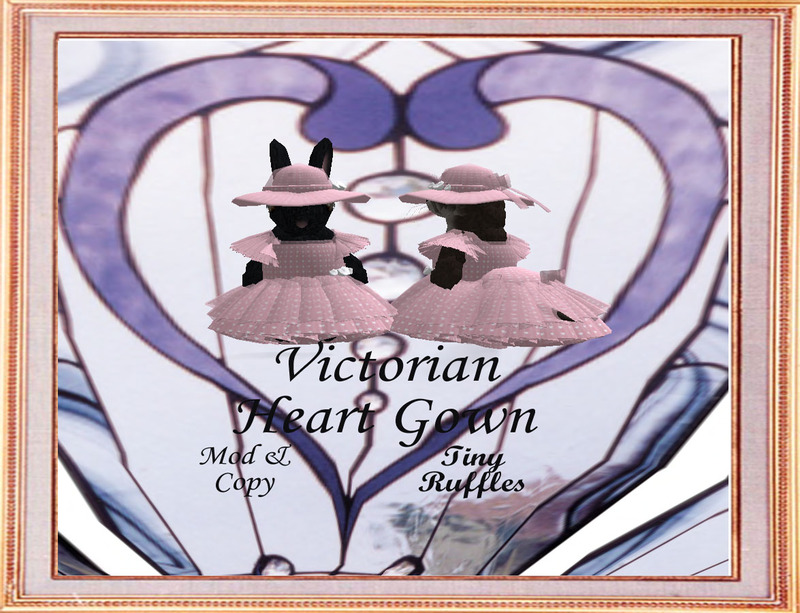 I also have a Valentine's Day tiny gown which is out in my shop and is free. The pink heart fabric with sheer over-skirt reflects a light innocence. The matching hat tops off this outfit.